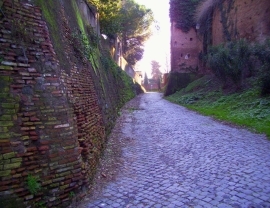 From the banks of the Tiber a steep, almost unknown alley goes uphill following the Aventine's side. and you wonder whether you've jumped backward in time and ranks of legionary troops are about to appear just ahead of you. 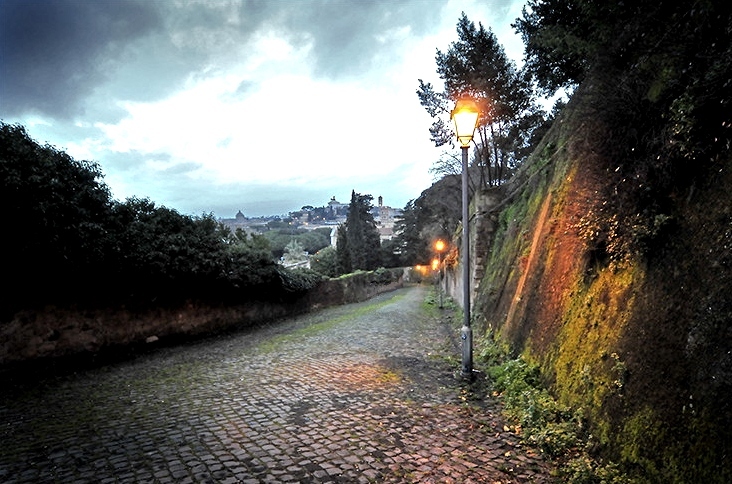 Picturesque in Rome can be often found round a corner, at the very center of the city. 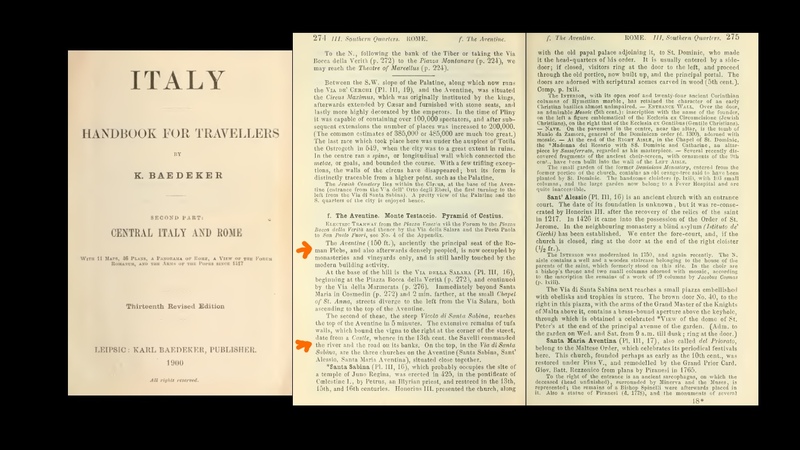 Clivo of Rocca Savella makes no exception. 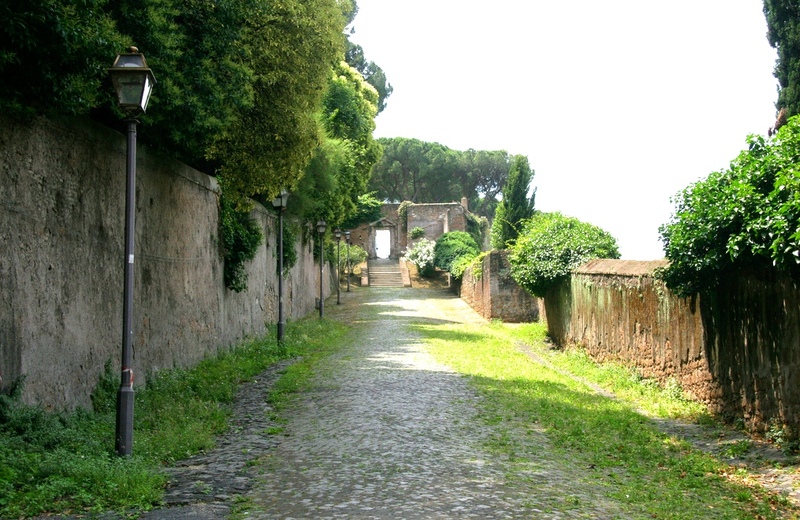 This solitary street brings you back to Grand Tour times, when Rome was only ruins and gardens, and you walked amid the old stones without stumbling upon any other human beings, so that you could fancy you were treading the soil of Ancient Rome. 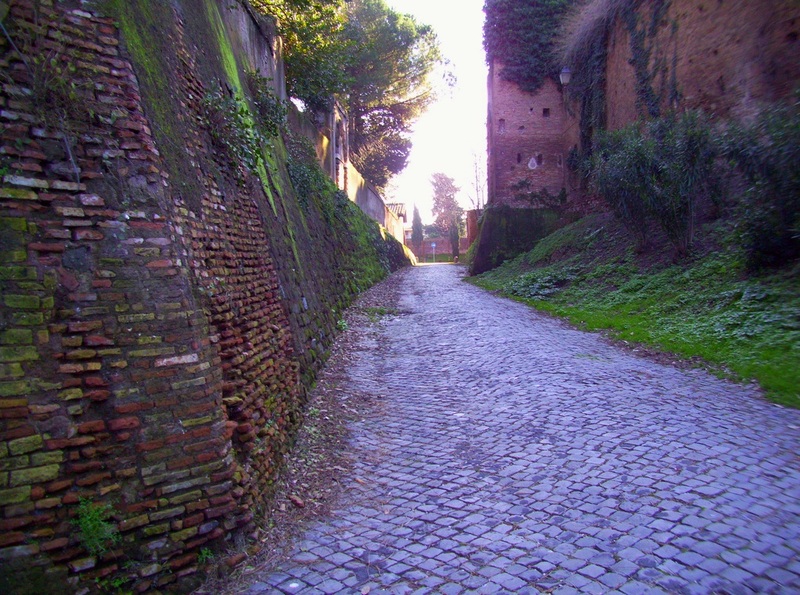 The impression is still alive in this unfrequented alley leading to the Aventine's hilltop: no modern building is visible in the vicinity, the sight might as well be part of a XVII-century landscape, or even a surviving portion of the capital city of the Roman Empire. 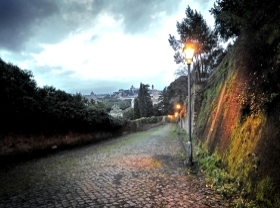 Not many Italian residents know about the spell of this beautiful place: walk the paved street alone, at dusk or just after sunset, when no other living person is in sight: and the magic of Rome will seize your soul once more. 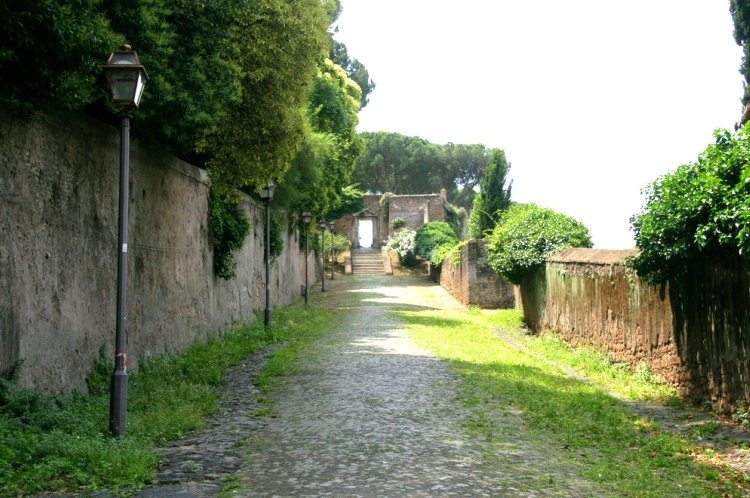 The Aventine, anciently the principal seat of the Roman Plebs, and also afterwards densely peopled, is now occupied by monasteries and vineyards only, and is still hardly touched by the modern building activity. 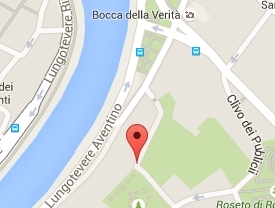 [From there] in the 13th century the Savelli commanded the river and the road on its banks.